I have always loved horses but I have rarely had the opportunity and means to ride one… the last time was approximately 12 years ago. 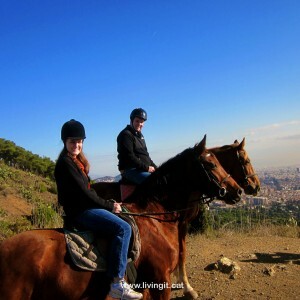 After an online search for equine centres near Barcelona, I came across LivingIt and booked this experience right away. I couldn’t have had a better experience! 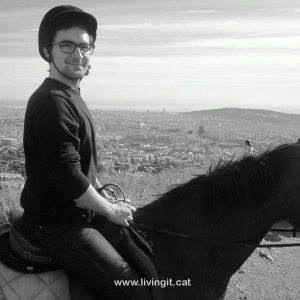 Barbara promptly picked me up and took me to the centre in the Collserola hills, explaining me what LivingIt was, their activities, etc. Once we got there I met Carla, my riding instructor. My horse, actually a mare, was Doris, who was quite gentle and very obedient. 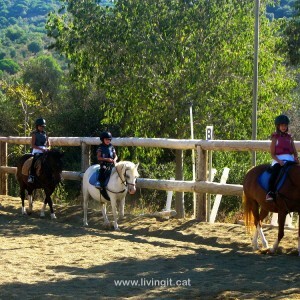 We had a warm up ride in the riding arena and then we went up the hill through its meandering roads. 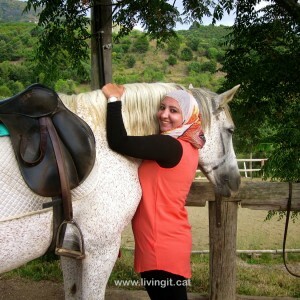 Carla gave me a lot of useful advices on how to ride the horse and told me a lot of interesting facts about the hills, especially regarding the vegetation and the animals that make it their “home” (like wild pigs). Once we got to the top we enjoyed a glorious view of Barcelona! The morning was sunny and we could see the beautiful city and all of its world renowned landmarks (like the Sagrada Familia). I was treated to a typical Catalan brunch once I got back to the centre, red wine and tortilla included. It was the perfect way to end a wonderful riding experience. 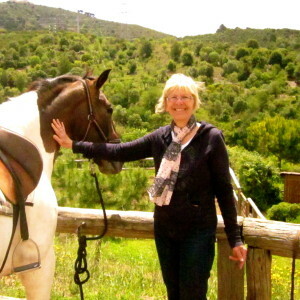 Barbara and Carla were very helpful and professional; I definitely recommend this experience to everyone who shares a passion for horses and nature… in fact, I’m thinking of reliving it all again in a few months with a couple of friends ;-). 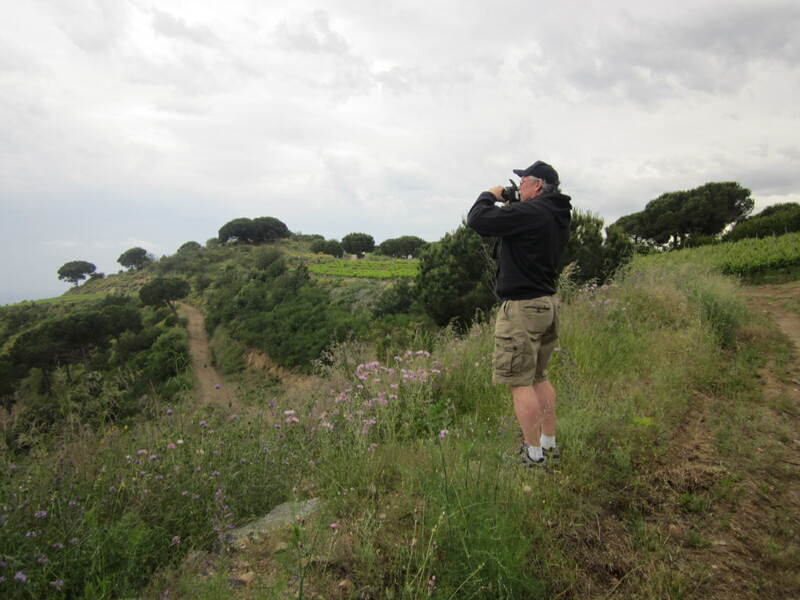 The evening was a terrific local experience with great food, wine and a very special guide. The last part of the tour: the human tower display was exceptional! We met several human tower builders and they explained us how to do it and we could also take part of the tower. 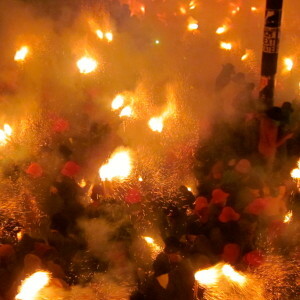 We felt like if we were catalonians! Thank you Barbara for such a great evening! 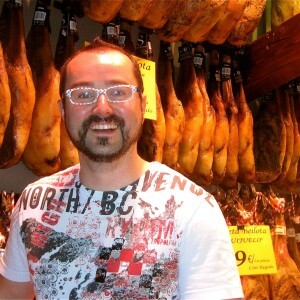 If you are in Barcelona, you must give this a try! 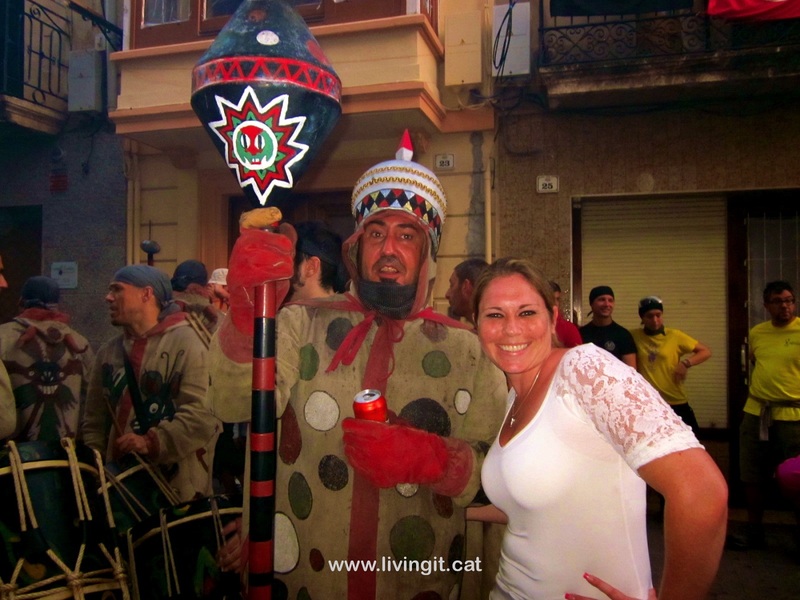 I would not hesitate to book with LIVING IT tours again! It was an amazing experience especially with the friendly guide Barbara who picked us from hotel and returned us back and gave us a lot of help and was truly welcoming. 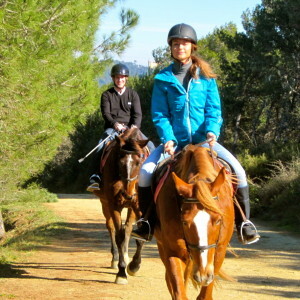 In addition, Andrea our horse back riding trainer was really sweet and funny, she made the experience of riding horses really easy and joyful. We became friends with the horses to the extent we gave them their shower 😀 I would like to thank Barbara and Andrea for making this journey fun and mood changing. 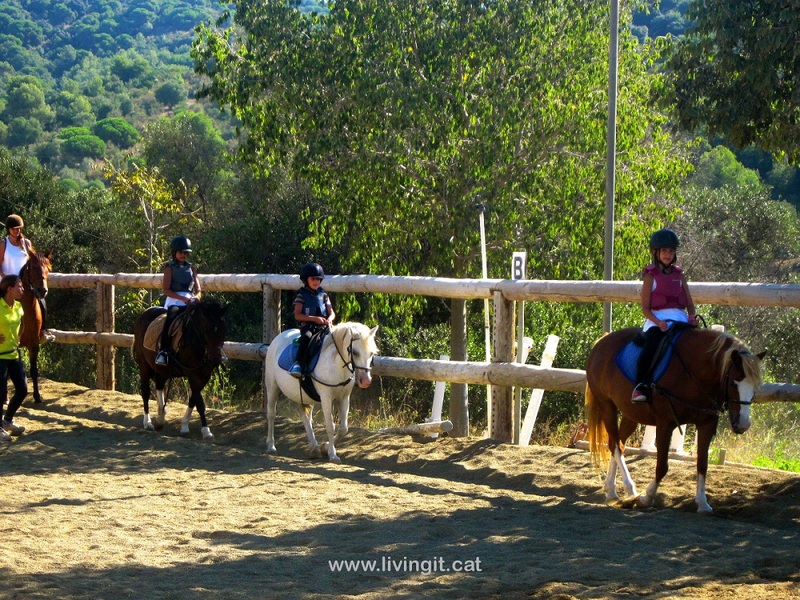 It’s clear that they work closely with the horse riding school as the whole process from arrival to our excursion was seamless. 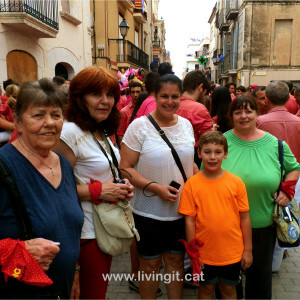 Both Núria from Living It and our guide were tremendous. Our guide was knowledgeable, friendly, and made the whole process relaxing. When we got there, we were immediately walked around the school, told more about what they do, and got to see the dozens of horses they have on site. Our guide seemed to know details about every horse at the facility, their temperament, and personality. It seemed like they rescued horses as well, which we were really happy to support a company of this nature. Our guide made a special effort to show us traditional Spanish horses and explain the differences between the horses we are used to in the States. I’m not sure if its always this way, but our trip was only me, my wife, and the guide. This made for a personal experience as we were given the attention necessary to make sure we were comfortable with the horse, how to make the necessary commands, and pictures were taken for us. Living It, with the help of the guide, sent us nearly 100 pictures of our day at the horse park. This was amazing, because we could just worry about having fun and not recording the events of the day. 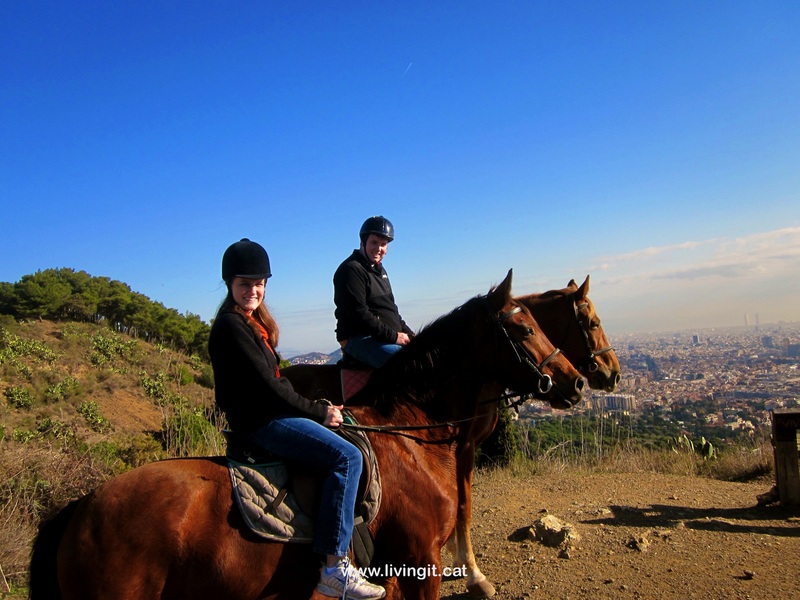 The actual ride was beautiful and easy through many trails up to the top of a mountain overlooking the city. It was relaxing, easy ride with the horses very well behaved, but still had a lot of personality. I would have certainly been comfortable with Children on the horses. When we got back, we got to feed the horses a treat and there was lunch prepared for us. To remember our time, we received certificates acknowledging our excellent horse riding, which was a really funny way to end the trip. “This tour is organised by Living It. 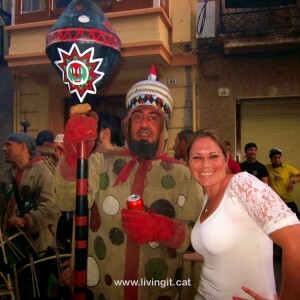 “It” referring to the way of life lived by the Catalans.” I had this tour in December. Despite the gloomy weather, my horseback riding tour experience was simply magnificent. The tour started off with our friendly tour guide waiting for us at Barcelona Central. 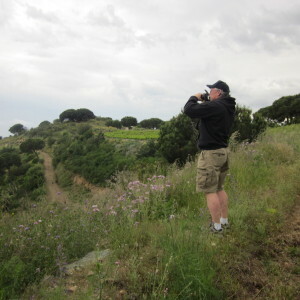 We were driven out of the city to a nature park where the ranch warmly welcomed us. Our tour guide was very friendly and told us all about Barcelona along the way. The horses from the ranch are very well trained. Our trainer, Carla, was very knowledgeable in her field of expertise in horse riding and she patiently taught us the basics of horse riding. 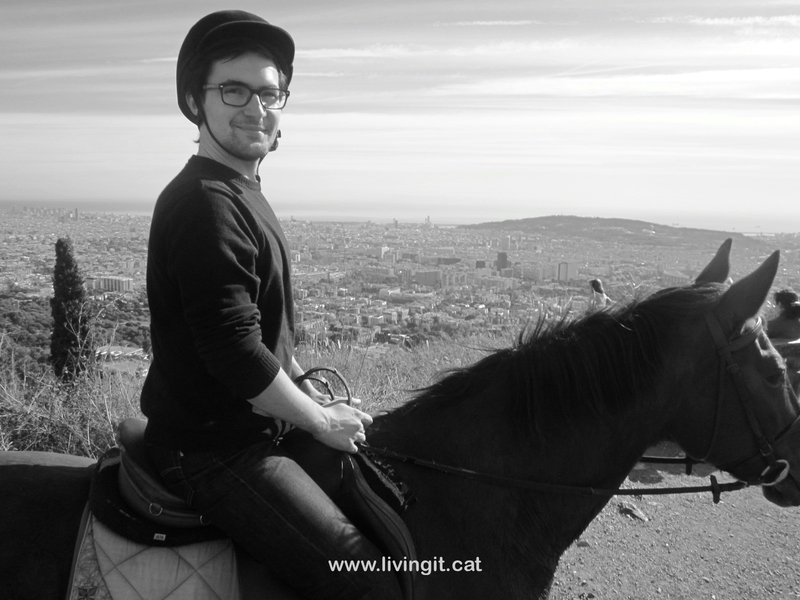 After a short training session in the ranch, we set off on a trail that led us to the top of a hill in the nature park where we had a view of the entire Barcelona city, which definitely took my breath away. To me, this was the highlight of the entire tour. We did not stay for long though. After a few pictures, we were told that it was time to ride back to the ranch already. Maybe this portion of the tour can be improved on a little. The tour was also enriching in terms of the skills to horse ride, as well as the different types of plants/trees in the nature park, which Carla explained to us in great detail. There was a lot of hands on activities throughout the tour. We got to help out putting on and taking off the saddle for our horses, scrub them, feed them, etc. Ending off the tour, we were presented certificates of completion and had home-made local lunch prepared for us on a beautifully decorated table. Not only was it appealing to the eye, it tasted as great too. 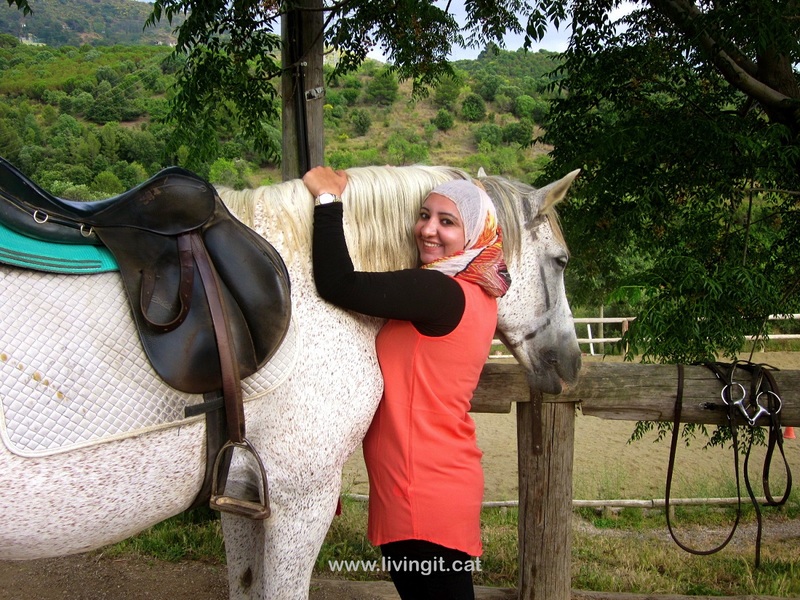 Overall, I highly recommend this tour to people who loves nature, has interest in horse riding, and who wants to experience the culture of the locals. The hospitality provided by both our guide and our trainer was simply heart warming. We felt well taken care off. Living It was also very efficient – they emailed us our edited photos on the same day of the tour! We took the tour to the Winery, the village that was hosting the Human Tower, and the Town that George had slayed the last dragon. It was great, a small group of mainly my travel partners, my daughter Karren Morley, myself, Marilyn Brown and my Great Grandson Damien along with our friend Anne Normand and a fellow tour mate from Australia, Melissa. The tour guide, Alexander was more like a friend taking us on a tour. Very knowledgeable, personable, and made sure we had water on the very hot day. The tour was among the best we had during the 8 days of our visit to Barcelona and he left us with some great pictures and memories of our trip. Thanks to all.